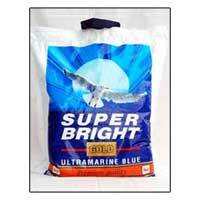 We present special quality Super Bright Gold Ultra Blue Pigments. These Super Bright Gold Ultra Blue Pigments have been specialty made to provide sparking whiteness to the clothes without harming the yarns. The deep rooted action of Super Bright Gold Ultra Blue Pigments makes the fabric bright from inside. Apart from this, it also gives fabulous whiteness to wall when used in white washing of the walls. 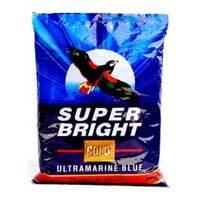 Besides, we offer our Super Bright Gold Ultra Blue Pigments at affordable prices. Why Our Super Bright Gold Ultra Blue Pigments?